This quality first aid Cabinet keeps you prepared for emergencies. 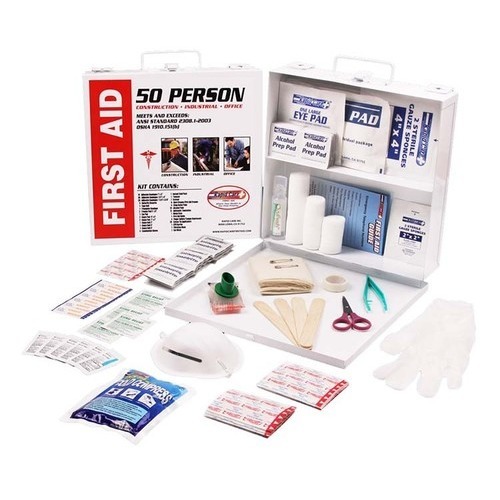 This comprehensive 50 person first aid kit was designed to meet the needs of 50 people. 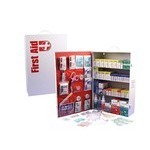 It is packaged in a white metal case. 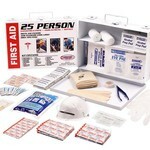 It is perfect for indoor or outdoor storage. The durable case will hold strong in any conditions.